Learning Life is a nonprofit education and citizen engagement lab based in Washington, DC. Our flagship program, the Citizen Diplomacy Initiative (CDI), connects families in different nations via the internet to nurture a family-to-family form of citizen diplomacy. Alongside CDI, we run an international mentoring program that exposes our lower-income families’ kids to the world. CDI mentors and mentees are generally matched by gender. Once matched, our DC mentors and our youth abroad connect online via Facebook, Whatsapp or another platform, learn about each other, read about, watch and discuss local to global issues together using readings, photos and videos, and explore educational opportunities for the mentee. Our mentors and mentees living in DC do the same, but in person, and also visit metro DC museums, embassies, cultural events, foreign restaurants, etc. 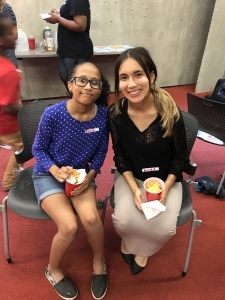 CDI mentors commit to meeting with their mentee at least once per month, preferably at regular days and times (e.g., Sundays afternoons) for at least one year. Mentors are also expected to participate in a learning community with fellow Learning Life mentors and language partners. This includes an email list, and once-per-month 1.5 hour meetings via Skype of small groups of five or fewer mentors and language partners to share their experiences, ideas and resources, and learn about mentoring and related issues. Prospective mentors should be caring, patient adults who like working with children. Prospective mentors should have at least a bachelor’s degree, or be in college to complete one. They should also have a demonstrated interest in international affairs through study, work, and/or experience living outside the USA. Prospective mentors who wish to mentor one of our children abroad should speak Spanish or French at an advanced to fluent level. 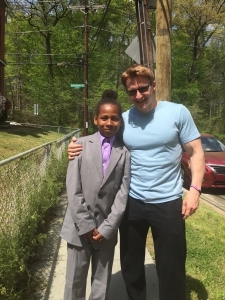 For mentors of DC kids only: You should have a car or be willing to pay for a taxi or public transport to accompany your mentee back and forth from their home in Ward 8 (Southeast DC) to the day’s experience site(s). You should be willing to provide or pay for a snack if not a meal with your mentee during your time together. You should also be willing to pay for entry fees to any museums, festivals or other venues/activities you choose, though we encourage you to take advantage of the many free venues and activities available in metro Washington DC, and we provide our mentors with a list of many of these free opportunities. Prospective mentors submit their resume for review, have a face-to-face interview with Learning Life staff, and must pay for a criminal background check (cost: $20). Please email us at email@learninglife.info if you have any questions, or to submit your resume for consideration.